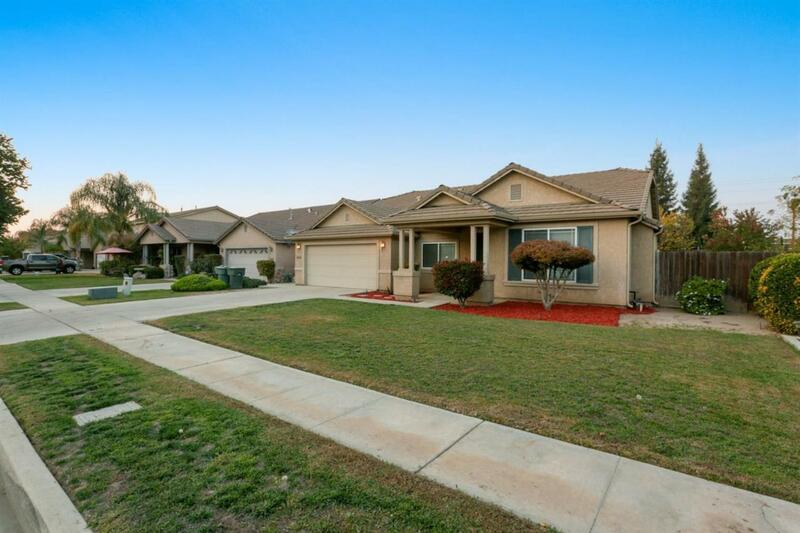 Looking for a home with a flexible floorplan and large lot? Then this is the one for you! This split floorplan, 3 bedroom + bonus room/den/bedroom + office/den/bedroom offers so much flexibility, the possibilities are endless! New paint + carpet throughout! Livingroom boasts lots of natural light and a gas fireplace. Double doors lead to the office/den or additional bedroom. Kitchen features new tile countertops, breakfast bar, dishwasher, range and built-in microwave. Master bedroom boasts ensuite bath with double vanity, walk-in closet and large linen closet. Sliding door off of master allows private access to the covered rear-patio and huge backyard with plenty of room for a pool AND entertainment areas. On opposite side of home are 2 more bedrooms and a large bonus room that offer loads of options for den, media room, gym, playroom, you name it! This home is definitely one you don't want to miss! Call today for private showing! Listing provided courtesy of Diana Benson of Modern Broker, Inc..